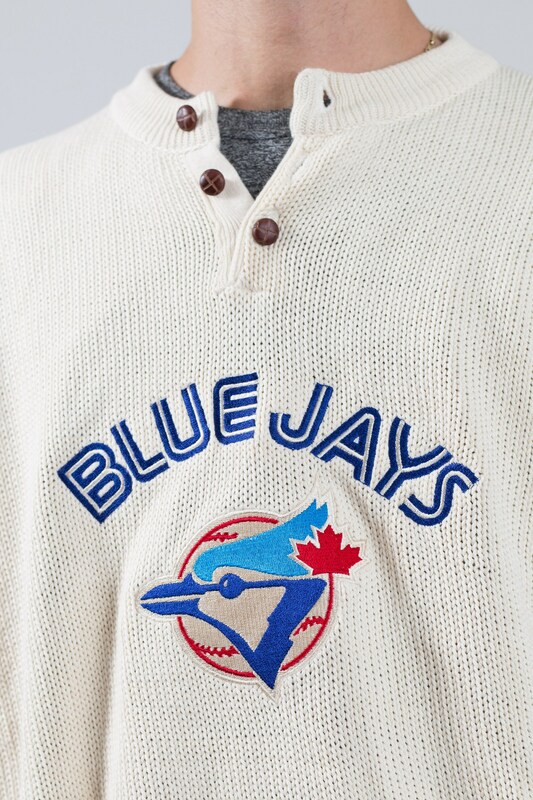 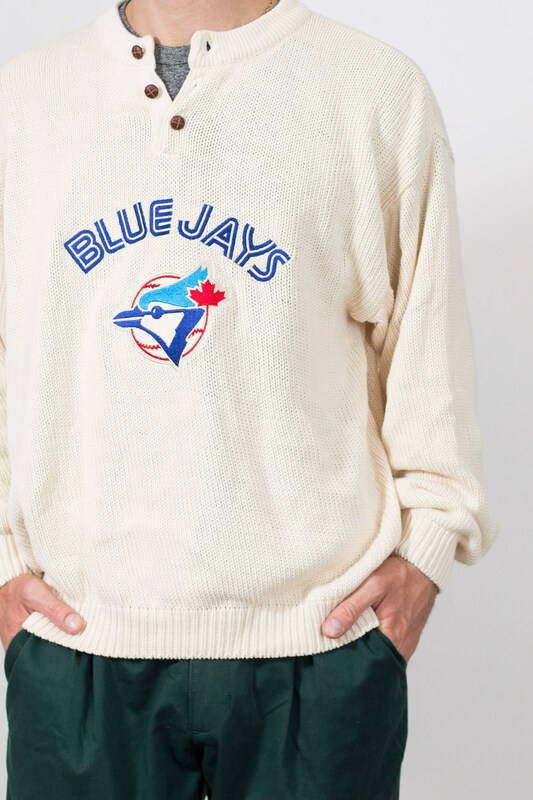 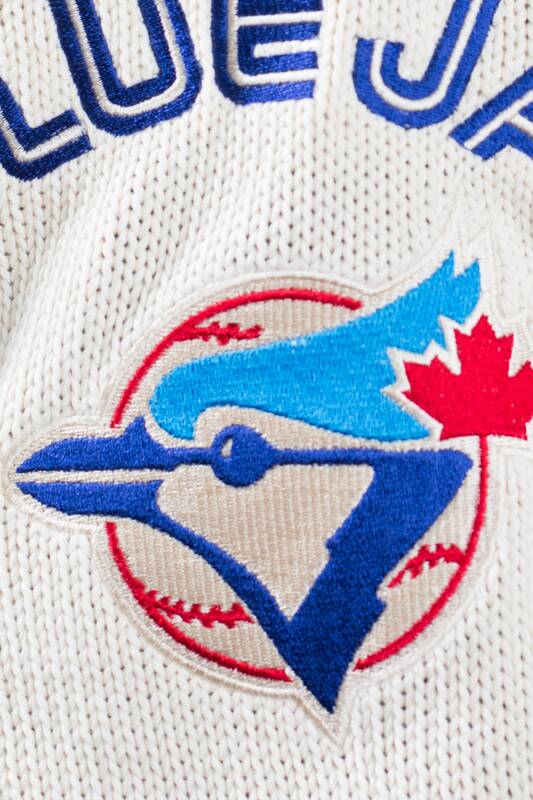 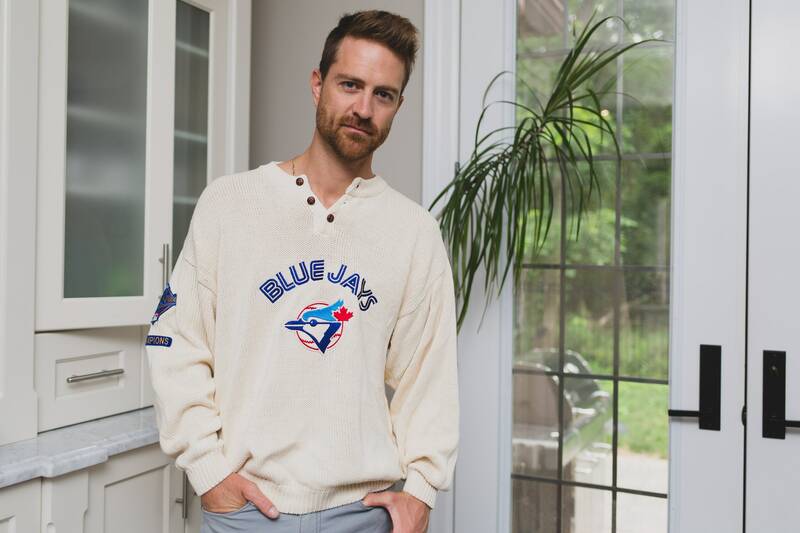 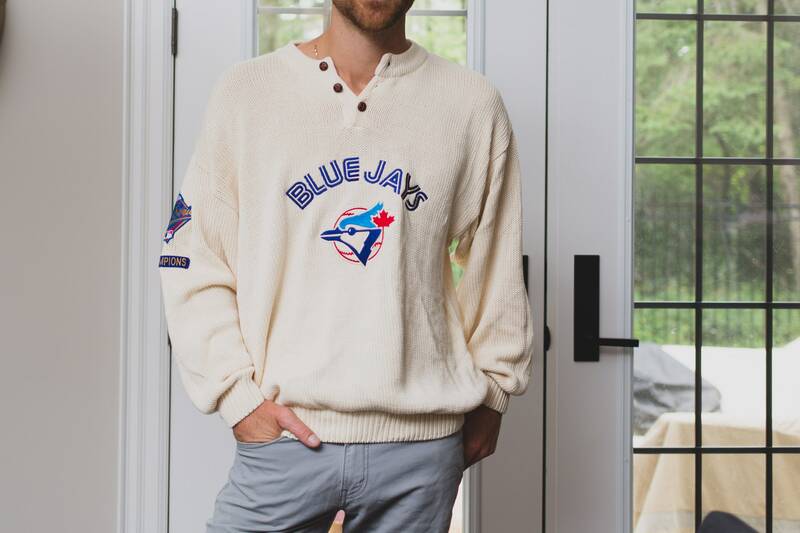 This is a rad vintage men's large size Toronto Blue Jays off white sweater from the 90's with a an emblem on the front and arm. 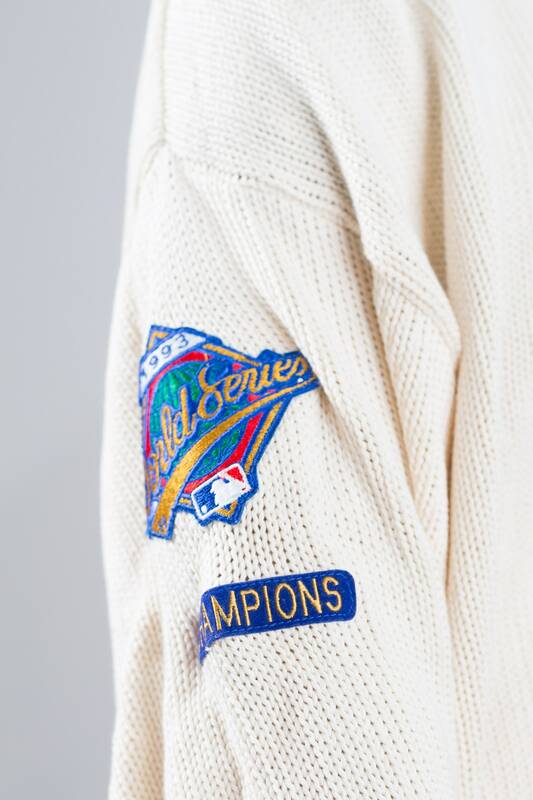 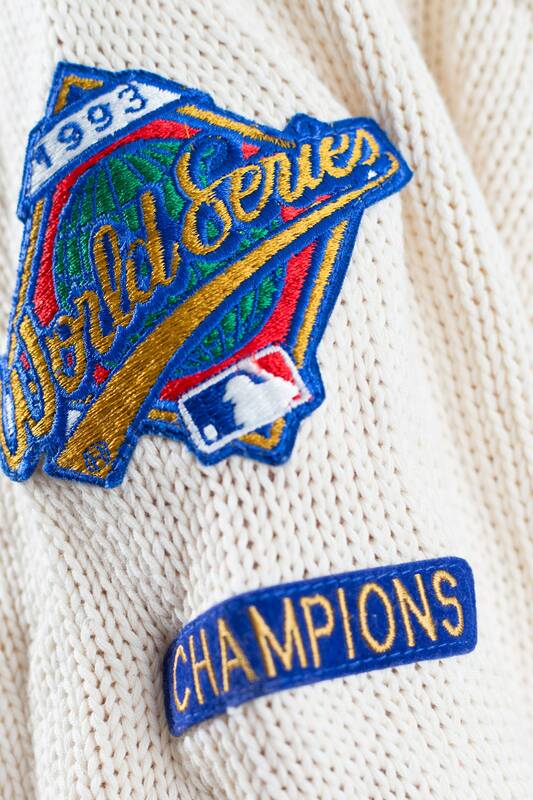 It's official merchandise from the 1993 baseball world series. 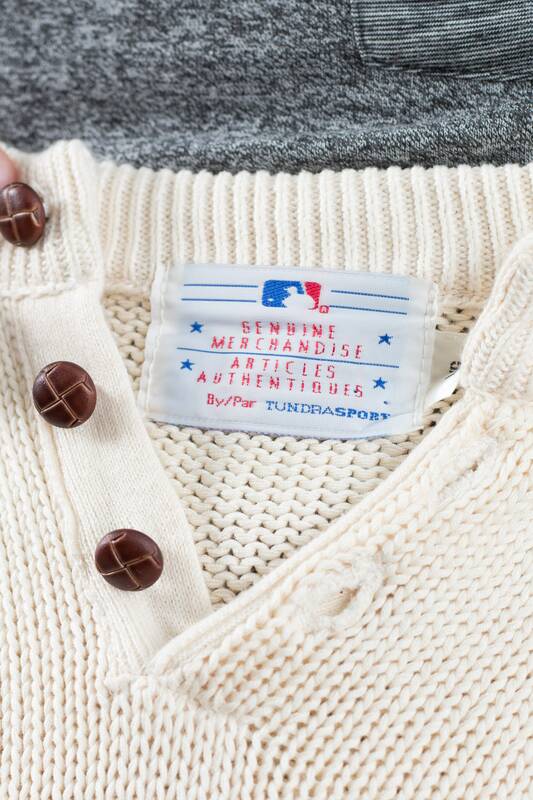 Brand: National Baseball League Genuine Merchandise by Tundrasport. 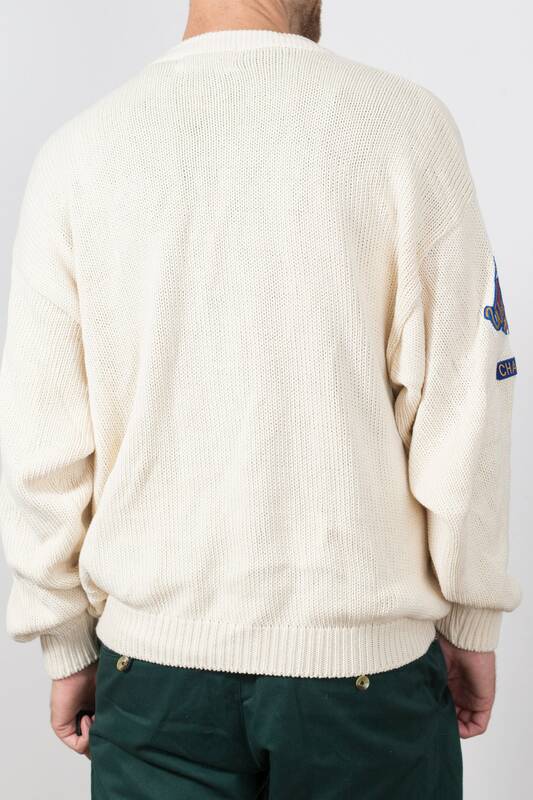 Length from neck seam to bottom of sweater: 26"